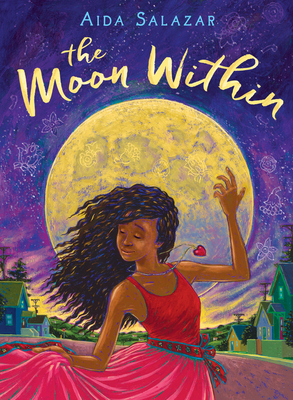 I love The Moon Within by Aida Salazar! It focuses on Celi, an 11 year old mixed girl living in Oakland, as she struggles with her changing body and balancing friends, family and crushes. It’s written in verse, and you really get a sense of Celi’s emotions with Sala­zar’s beautiful poetry describing her thoughts! I also really enjoyed how The Moon Within tackles the topic of menstruation and how it impacts girls hitting puberty, which I don’t think an author has done for this age since Are You There God? It’s Me, Margaret., which was almost 50 years ago! I’m so excited for mothers and daughters together to discover this book, as well as kids to find it themselves in book­stores and libraries across the country. The Moon Within feels like it’s written for a kid of now. There’s sec­tions about rediscovering lost heritage, exploring alternative gender and gender norms, and talking to crushes through texting. Despite being writ­ten in poetry, it’s super easy to get yourself into Celi’s world, particularly the sections where she talks about her love of dance. Honestly, this book feels like it’s going to stick around for years to come! About Rachel: Before becoming a bookseller, I worked in libraries and was a teacher, so you could probably say I’ve been working with books for a while. I’ve been working at Books Inc. as a chil­dren’s specialist for about 3 years and run the Flashlight Readers Book Club (Ages 8-12) at Books Inc. Berkeley. When I’m not read­ing, I love playing board games!